The transition to adulthood for many is mediated by class, culture, and local/global influences on identity. This volume analyzes the global injustices that create inequities and restrict future opportunities for young people during this transitional time, including poverty, unemployment, human rights, race, ethnicity and location. It critically examines global instances of youth discrimination, o… ffering positive strategies and practices such as youth work that successfully remediate these injustices. 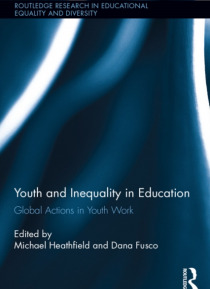 With international contributions from Aotearoa New Zealand, Australia, England, Malaysia, Peru, Philippines, Portugal, Morocco, Jordan and the U.S., this volume is particularly important to researchers and scholars in the fields of youth studies, education, and social work.